Stories to warm the heart! 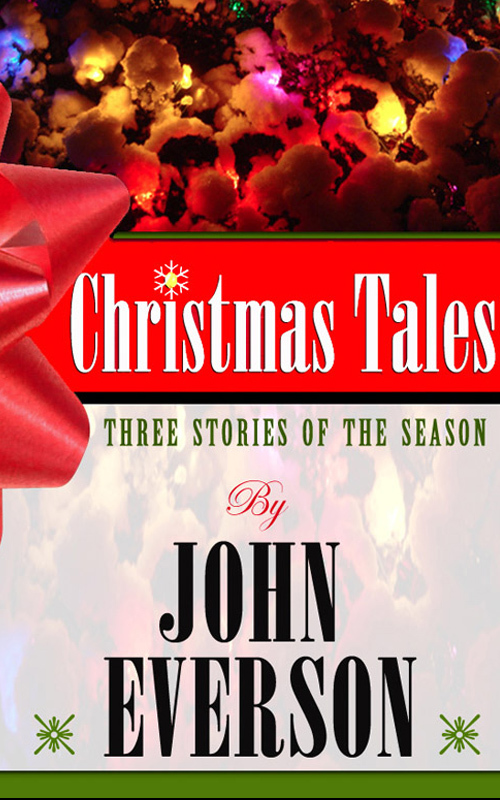 Christmas Tales offers three “ghosts of Christmas” in its three stories celebrating the magic of the season, as well as the lyrics of four original holiday songs. 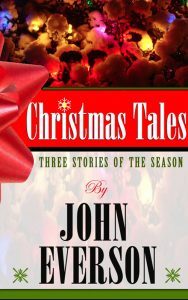 While primarily known as a Bram Stoker Award-winning horror author, John Everson explores his lighter side with Christmas Tales. It’s a book with heart that can be enjoyed by all ages. Heartwarming contemporary fantasies all, CHRISTMAS TALES – which also includes a handful of original holiday song lyrics and a link for readers to hear some original holiday recordings – will bring the spirit of Christmas to your heart. “Christmas, The Hard Way,” was originally written as a holiday gift to family and friends. The story is a fantastical look at the Christmas holiday from the point of view of Will, a boy who comes from a family of… well… witches. To them, magic comes naturally. But at Christmastime, they pledge to give up magic to rediscover the importance of doing and making things with the sweat of honest labor. That will be a difficult – but important – lesson for Will to learn. “Frost,” the second tale of the collection, opens with David, a young boy from a broken home on an uneasy trip home for the holidays after visiting with his dad. But his trip takes an unexpected turn when a frost sprite in the plane window escorts him on a sidetrip journey that can only be seen as the start of “growing up”… and the beginning of a rekindled Christmas. “Will You Spend This Christmas Night With Me?”, a new story written just for this Christmas collection, looks into the heart of a “lost man” who is living aloof and alone. The love in his heart has been buried with the memories of his family. Based on one of John Everson’s original Christmas songs (the lyric also appears in the book), it tells the life-altering story of a lonely man who takes in a homeless child – or is she? – on Christmas Eve.